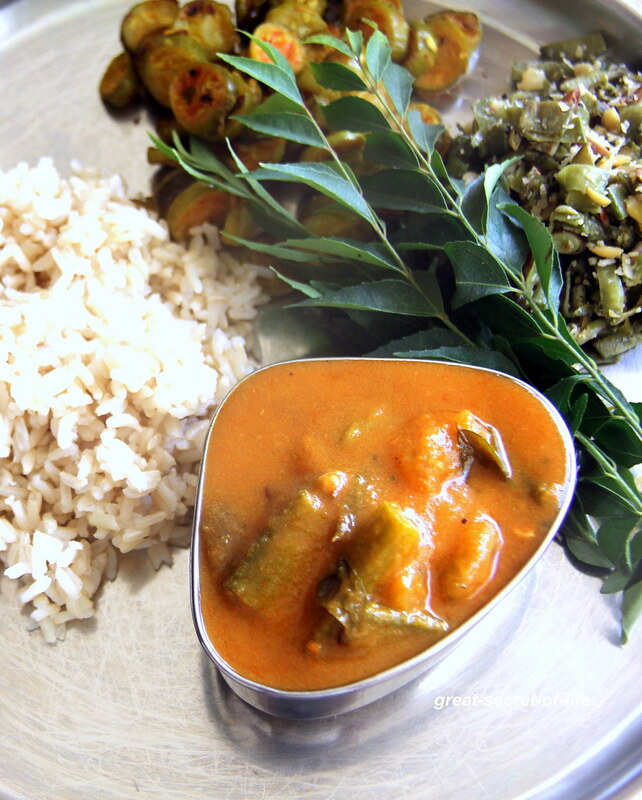 I normally like Puli Kuzhambu / Kulambu. 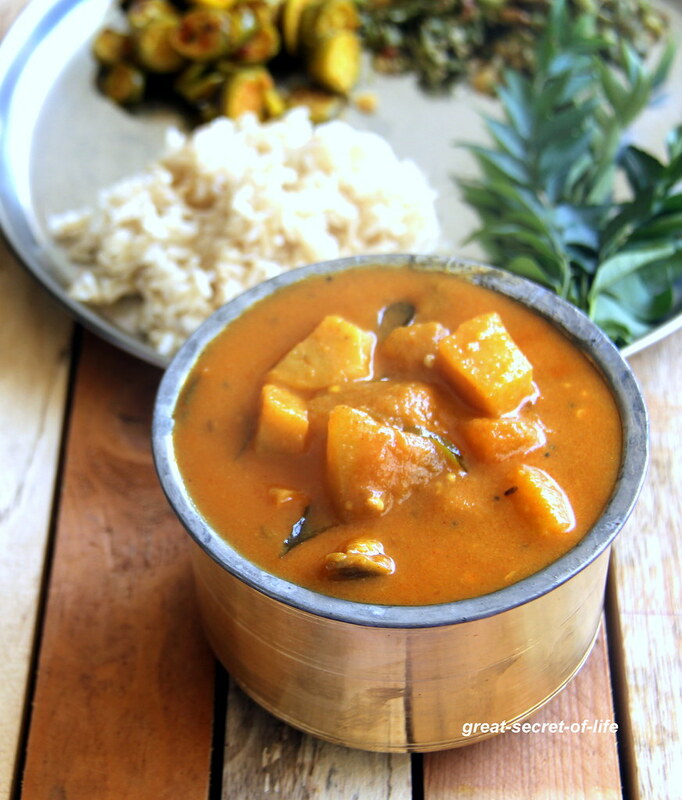 It is really very tangy and tasty and perfectly goes well with steamed white or brown rice. My kids love the combo too.. 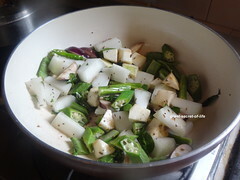 I a am big fan of mixed vegetable based recipe. 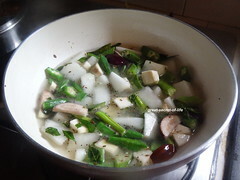 It is really healthy also gives nice flavour. So when I saw this recipe in one of the cook show I wanted to try it immediately. If you want to do impress your guests with some traditional dish yet with some variation then this is the recipe for you. Wash and clean the vegetables. and leave eggplant, Raw banana in water till you need it. 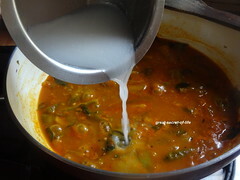 Mix in 1/4 cup water to the rice flour and mix well. Keep it aside. Heat the pan with oil. 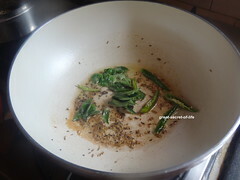 When hot add mustard seeds, cumin seeds, Green Chilles and let it pop. 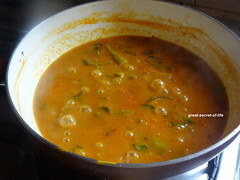 Add asafoetida, curry leaves. and fry for 30 mins. Add all the vegetables and bit of salt. 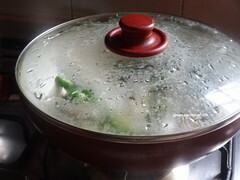 Add required water and close the lid and let the vegetables cook (about 10 mins). 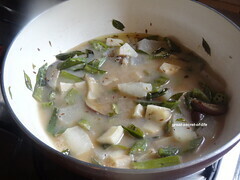 Add Tamarind water. Let it boil. 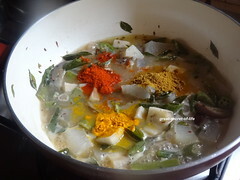 Add Red chillies powder, coriander powder, turmeric powder and mix well. Cook till raw smell goes off. 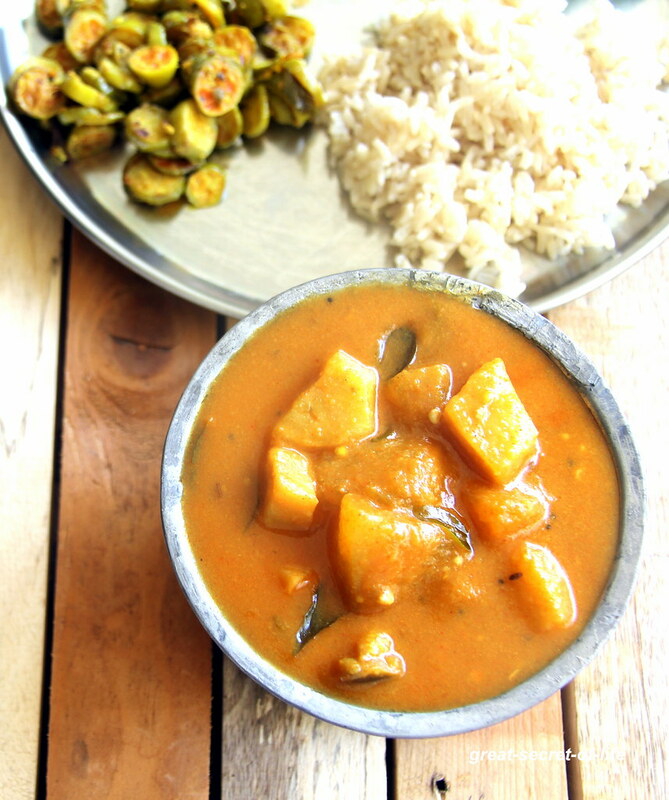 Yummy pulusu.. love Andhra food ! I have bookmarked this one dear,looks very tempting..and a healthy one!